“Let your light so shine before others, so that they may see your good works and give glory to your Father who is in heaven” (Matt. 5:16). Some non-Christians claim that Christianity has had a negative effect on the world (e.g, the Crusades). Of course, Christians will counter with all the good things Christians have done (e.g., started orphanages, hospitals, schools). It’s true that many people who called themselves Christians have done terrible things. But these people have disregarded the teachings of Jesus. They are Christians in name but not in deed. Salt and light were very important to people in first century Palestine. As “salt” and “light,” we are to have a good influence on those around us. Jesus says that when we let our light shine, people will “see [our] good works” (v. 16; cf. 1 Peter 2:12). 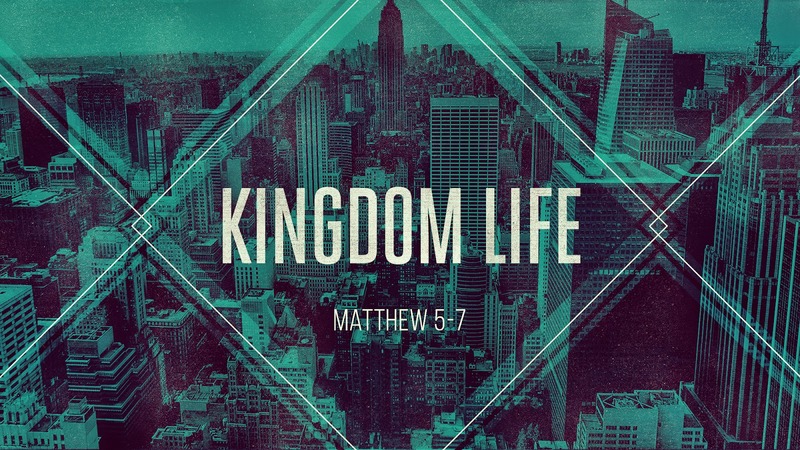 Citizens of God’s kingdom are to be people of good works. We are “the salt of the earth” and “the light of the world.” Jesus doesn’t want us to be isolated from the world. He prayed, “I do not ask that you take them out of the world…. As you sent me into the world, so I have sent them into the world” (John 17:15, 18). We are not to be private Christians. Jesus says, “A city on a hill cannot be hidden” (v. 14). He wants the world to notice us. He wants people to see a difference in our lives. Salt is good for nothing if its saltiness is lost ; light is good for nothing if it is concealed. God wants the world to see good works in our lives so that we might be witnesses of the power of the gospel. We desire to bring glory to God because he has provided salvation for us through the cross. Salt had many uses, including preserving food. This saying is widely attributed to Francis of Assisi, but no published source has been located prior to the early 1990s. John R. W. Stott, The Message of the Sermon on the Mount, 61. Technically, it’s not possible for salt to lose its saltiness. We shouldn’t think that Jesus intended to give us a scientific explanation of the properties of salt. Of course, we shouldn’t always expect a positive response since the eighth beatitude speaks of persecution. Craig S. Keener, The Gospel of Matthew: A Socio-Rhetorical Commentary, 175. “Blessed are those who are persecuted for righteousness’ sake, for theirs is the kingdom of heaven” (Matt. 5:10). According to Open Doors, a ministry that serves persecuted Christians, each month 322 Christians are killed for their faith, 214 churches and Christian properties are destroyed, and 772 forms of violence are committed against Christians. We’ve probably all heard the stories of ISIS executing Christians. Jesus is talking about persecution that is “for righteousness’ sake” (v. 10) and “on [his] account” (v. 11). In other words, it’s persecution for following Jesus. The citizens of God’s kingdom should expect persecution for following Jesus. “If the world hates you, know that it has hated me before it hated you. If you were of the world, the world would love you as its own; but because you are not of the world, but I chose you out of the world, therefore the world hates you. Remember the word that I said to you: ‘A servant is not greater than his master.’ If they persecuted me, they will also persecute you” (John 15:18-20). D. A. Carson writes that “if the disciple of Jesus never experiences any persecution at all, it may be fairly asked where righteousness is being displayed in his life.”  Or maybe the lack of persecu-tion is the result of being too isolated from the world. The most shocking part of Jesus’ words about persecution is that he says, “Rejoice and be glad” (v. 12). Why should we rejoice when we are persecuted? 1. To be persecuted for following Christ is a great honour. For Christ also suffered once for sins, the righteous for the unrighteous, that he might bring us to God (1 Peter 3:13-18). 2. To be persecuted for following Christ brings a great reward. Jesus says, “Rejoice and be glad, for your reward is great in heaven” (v. 12). Jesus compares his persecuted followers to the persecuted prophets (“for so they persecuted the prophets who were before you,” v. 12). Hebrews 11:37 mentions an unnamed prophet who was “sawn in two” (possibly Isaiah). We can be sure that the prophets were rewarded by God for their faithful service. Jesus says in Luke’s Gospel, “Woe to you, when all people speak well of you, for so their fathers did to the false prophets” (Luke 6:26). The false prophets might have been treated better by people (because they often told people what they wanted to hear), but they didn’t receive any heavenly rewards. Are there eight or nine beatitudes? In my opinion there are eight beatitudes. The eighth beatitude is “Blessed are those who are persecuted for righteousness’ sake, for theirs is the kingdom of heaven” (v. 10). Then in verses 11 and 12, Jesus talks more about persecution. D. A. Carson, Jesus’ Sermon on the Mount and His Confrontation with the World, 29. The disciples rejoiced, but they didn’t desire persecution. In Acts 22, when the apostle Paul was about to be flogged, he asked, “Is it lawful for you to flog a man who is a Roman citizen and uncondemned?” (v. 25). By questioning the legality of his flogging, he was able to escape it. The name “Christian” was originally used as an insult by non-believers. But the angel said to the women, “Do not be afraid, for I know that you seek Jesus who was crucified. He is not here, for he has risen, as he said. Come, see the place where he lay” (Matt. 28:5-6). On this Easter Sunday, Christians are celebrating something that really is unbelievable: the resurrection of Jesus. Usually, if something really is unbelievable, there’s a good chance that it’s not true (like alligators living in the New York City sewers). We must acknowledge that the resurrection is a story that’s hard to believe. We’re so familiar with the story of the resurrection that we don’t appreciate how unbelievable it is. The angel said to the women, “You seek Jesus who was crucified. 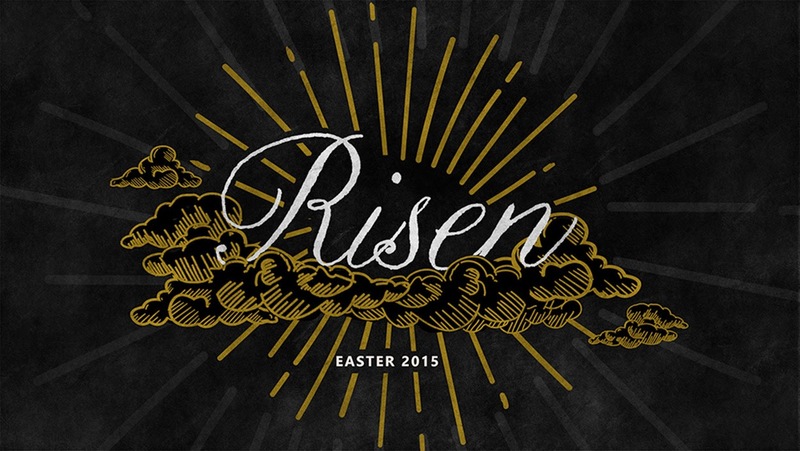 He is not here, for he has risen” (28:4-5). The story of the resurrection is hard to believe for two reasons. First, it’s hard to believe that a crucified man could be a Saviour. To the people of the first century, “the message of the cross [was] foolishness” (1 Cor. 1:18, NKJV). Second, it’s hard to believe that a crucified man could rise from the dead. If you were told that [dead celebrity] had risen from the dead, you wouldn’t believe it. Dead people stay dead. Why Should We Believe It's True? 2. The tomb was empty. 3. The disciples really believed that they had seen the risen Jesus. The followers of Jesus didn’t act like people who had stolen his body. They were willing to endure persecution and even martyrdom to spread the story of the resurrection. Liars make poor martyrs. 4. A notorious enemy of Christianity was converted. The apostle Paul had been a persecutor of the church, but he claimed that the risen Jesus appeared to him (1 Cor. 15:8). Skeptics will argue that the disciples wanted to believe in the resurrection, but the same can’t be said of Paul. Yes, the story of the resurrection of a crucified man is an unbelievable story. But what about the fact that the tomb was empty? What about the fact that the disciples really believed they had seen the risen Jesus? What about the conversion of Paul? How do we explain these facts if Jesus didn’t rise from the dead? The Gospel of Matthew begins with Joseph in fear. An angel says to him in a dream, “Do not fear” (1:20). And Matthew comments that the baby born to Mary would be called “Immanuel,” which means “God with us” (1:23). The Gospel of Matthew ends with the women at the tomb in fear. An angel says to them, “Do not be afraid” (28:5). And he tells them that Jesus is risen. If the resurrection is true, it means that the risen Jesus is God with us. Before he ascended to heaven, Jesus promised his followers, “I am with you always, to the end of the age” (28:20). Jesus is not dead. He’s alive. And the risen Jesus is with us to calm all our fears. If you fear sharing the gospel, the risen Jesus is with you, and he gives you courage. If you fear death, the risen Jesus is with, and he gives hope. I am not casting doubt on the truthfulness of the Bible. However, we should not be under no illusion that a non-Christian will accept what the Bible says as fact. A good presentation of the minimal facts approach can be found in The Case for the Resurrection of Jesus by Gary R. Habermas and Michael R. Licona. Tacitus, Annals 15.44 (c. A.D. 115). In the second century, Justin Martyr wrote that this lie was still being circulated in his day (Dialogue with Trypho). It’s significant that Matthew says that women were the first witnesses of the resurrection. This detail adds to the genuineness of the account since in that culture the testimony of women wasn’t valued. Jesus later appears to the women and says, “Do not be afraid” (v. 10). Before the risen Jesus appeared to the disciples, they were hiding in fear (John 20:19). But after they saw Jesus, they courageously shared the gospel in Jerusalem.